If you love trekking and adventure, then you would love the rocky mountains, lush plantations and dense forests of Anthargange. 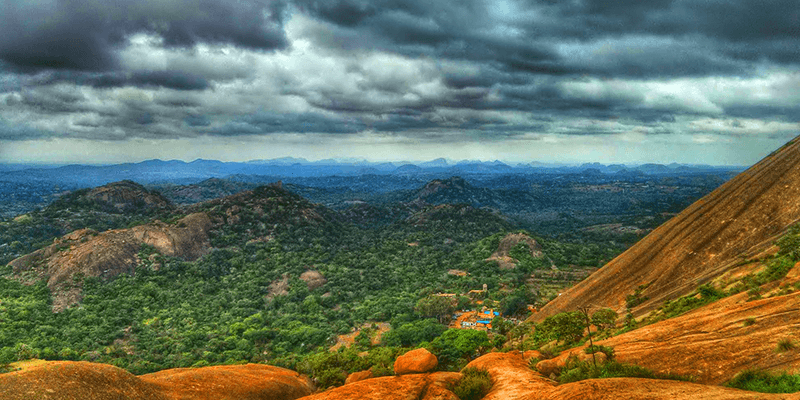 Situated in the Kolar district of Karnataka and nestled amidst the Shathashrunga mountain range, Anthargange trek has become a penchant for the adventurous minded while touring Bangalore. Anthargange is the Westernized version of the original name Antara Gange which means “Ganges from deep” in Kanada language. Sri Kashi Vishweshwara temple is one of the important landmarks of the city and has earned Anthargange the nickname of “Kashi of South“. But, in the present times, the city has become an important Kolar tourist place, due to its vast trekking and nature viewing opportunities. The mountains of Anthargange are situated at an altitude of 1712 meters above sea level and the rocky cliffs are ideal for the individuals willing to challenge the odds! 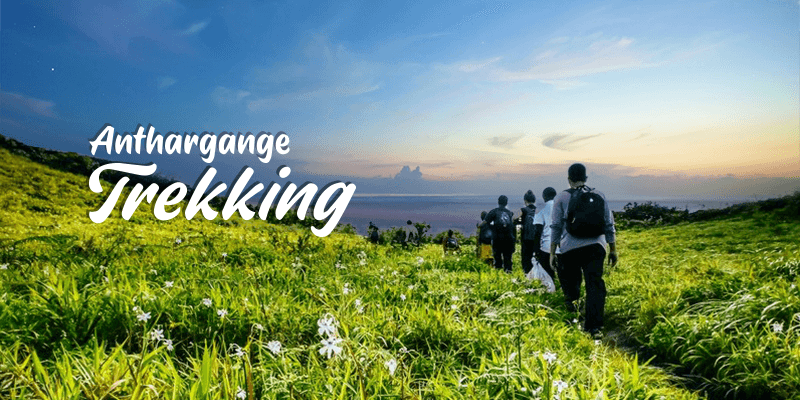 But trekking near Anthargange is not all about climbing rocks, it is also about crossing dense forests, traversing into caves, passing through lush plantations and ultimately reaching the peaks. Many trekkers have admitted that Anthargange trek is the most beautiful experience they have had. It is definitely once in a lifetime experience! Nearest railway station to Anthargange: Kolar is the nearest railway station to Anthargange (3 KM away). But most visitors decide to alight at Bangalore and then book outstation cabs to Kolar for forward journeys. As mentioned before, Anthargange trek has become an important tourist attraction of Karnataka. Most tourists visit Anthargange from Bangalore. And they are led to base camp for Anthargange trek. The trekking route might be only 3 KM long, but it poses many challenges in front of the trekkers. And here are some places you would be covering along the trekking route. In the first leg of your trekking, all you have to do is 350 stairs to reach this ancient temple near the base. Anthargange got its name from a pond within the Kashi Vishweshwara temple premise. The uniqueness in this pond lies in its source of water. No one is really sure from where the pond gets its water. So, the locals believe that the pond gets its water from the “Ganges from Deep” or Anthargange. Moreover, a bath in this pond is believed to cure many long term ailments. So, you would find many devotees filling their bottles with the water of this pond. 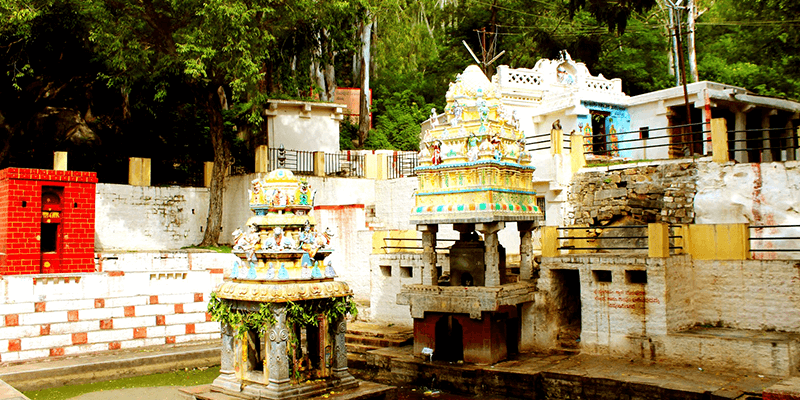 The temple lies amidst lush greenery and offers picturesque views. Trivia: Anthargange is known as home for hundreds of species of butterflies and you can catch a glimpse of many colorful butterflies while making your way through this section of the trekking route. Tread ahead for about 4 KM amidst dense forests with hundreds of butterflies flying around and you would come across this unique and beautiful temple. 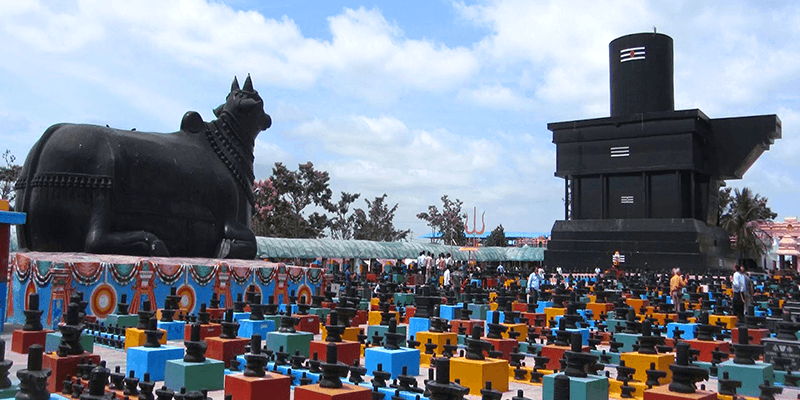 Situated in the village of Kammasandra, Kotilingeshwara temple, is known for housing more than ten million (Koti) Shivalingas within its premises, and that has earned the temple its name. The temple also holds a rare record. Within the temple premises you would come across a giant Shivalinga which has a height of 108 feet. This is the tallest Shivalinga in the world! Sitting beside Lord Shiva is a tall Nandi idol (35 feet tall). If you want to spend some moments of tranquility than this is the place to halt for some time. The trekking route from Kothilingeshwara temple to the Anthargange caves can be classified as “Moderate” in terms of difficulty ratings. In some places you would have to scale up the boulders and rocks, while in other areas you could have a narrow passage. You would pass by some scenic streams and tread through dense forests. After some hours of trekking you would reach these mystic caves. Caves in Anthargange are made of big and small rocks which have arranged themselves in a unique manner. These rocks do not fail in amazing the tourists. Some of the caves have such narrow passages that you would have to crawl inside. Your trekking experience spikes a few notches higher once you enter into these ancient caves. 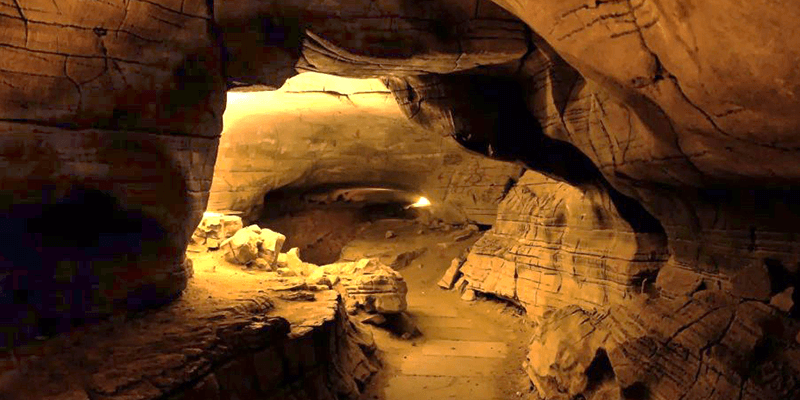 Note: Night cave explorations are a particular attraction of Anthargange trek. So, plan your trip likewise. After you have been amazed and explored the twisting caverns of Anthargange caves, it is now time to move towards the last leg of trekking. The route here will pose many challenges, as the rocks get steeper. But within no time at all you will be at the Anthargange Peak. In the last part of your journey you have to not only contend with the rocks and boulders, you would have to stay on the watch out for thorny bushes as well that dominate the vegetation here. Once you reach the peak, waste no time in getting your camera out and shoot some panoramic shots of Anthargange and the neighboring localities. Camping at the peak is an adventurous activity that tourists love. So, if you have time in hand do set up camp for the night. Otherwise you might tread back after a short rest. Tip: Sunset and sunrise at Anthargange Peak offers great photographic scopes. Anthargange is the best places to visit in Kolar, and offers a world of scopes to the adventurous minded tourists. When are you visiting this unique town in Karnataka?